Save AED 14 (63.64%) – Earn 1 Shukran What is Shukran? Shukran is the Landmark Group’s award-winning loyalty programme in the Middle East, which allows you to earn Shukrans when you shop any of our brands. 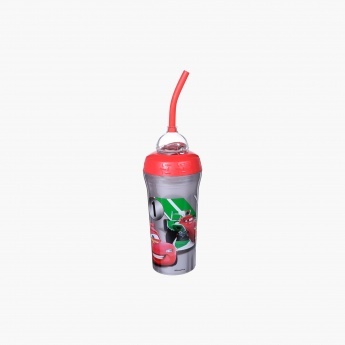 Let your little one sip his favourite beverages from this tumbler. Easy to sip from, this piece has a straw and the Lightning McQueen print adds to its look.